A day after Janta Ka Reporter reported how the Delhi’s Patiala House Court had directed the Delhi Police to file an FIR against Republic TV founder Arnab Goswami, one of his former colleagues has said that she wouldn’t ‘shed a tear’ for him. 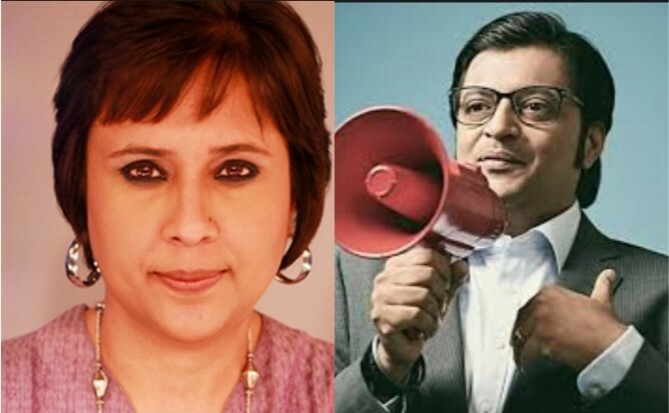 Dutt was referring to Goswami calling for gagging of journalists during a show that he hosted on Times Now in 2016. One of the charges against Goswami is that he allegedly hacked into Shashi Tharoor’s personal email, stealing documents. Separately, Tharoor had also filed a defamation case claiming damages and compensation worth Rs 2 crore against Goswami and his channel in May last year. The Lok Sabha MP from Thiruvananthapuram had also sought a direction from the High Court to restrain the TV channel from broadcasting any show relating to the death of his wife, Sunanda Pushkar, till the investigation is completed by the Delhi police. A Republic TV journalist, who claimed that he was assigned to harass Tharoor, had later resigned from the channel. Another Republic TV journalist had resigned complaining fear, intimidation and harassment by her bosses at the channel. Shweta Kothari, who was a senior correspondent with the channel founded by Arnab Goswami, said that she faced constant harassment on suspicion that she was a plant by the Congress MP, Shashi Tharoor.